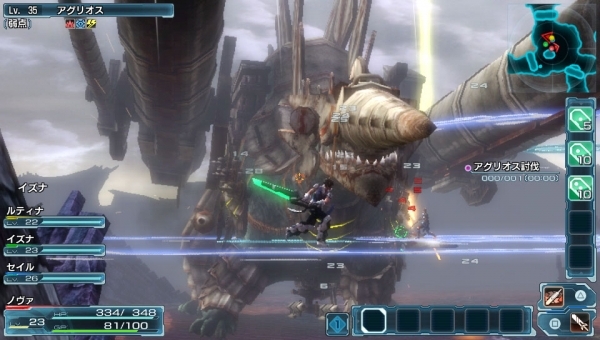 Phantasy Star Nova debuts at 107,000 sales. Pokemon Omega Ruby and Alpha Sapphire continue to lead this week’s Japanese software sales following its 1.3 million sale debut last week. The 3DS remakes moved another 298,000 units. New on the charts this week include Phantasy Star Nova, which debuted at a strong 107,000 sales on PS Vita, and Etrian Odyssey Untold II for 3DS, which opened at 59,000 sales. Fate/hollow ataraxia for PS Vita opened to a similar 53,000. And the PlayStation 3 version of Resident Evil debuted at 50,000 sales. On the hardware side, 3DS sales continue to remain strong, moving 106,000 units across every model, and PS Vita sales are up to 28,000 (compared to last week’s 10,000) thanks to the launch of Phantasy Star Nova.